There are multiple Pierre Turgeon posters, one of Doug Gilmour and, of course, a Gretzky. Every hooked-on-hockey kid growing up in the 1980s and ’90s had a Wayne Gretzky poster as the centerpiece of his collection. 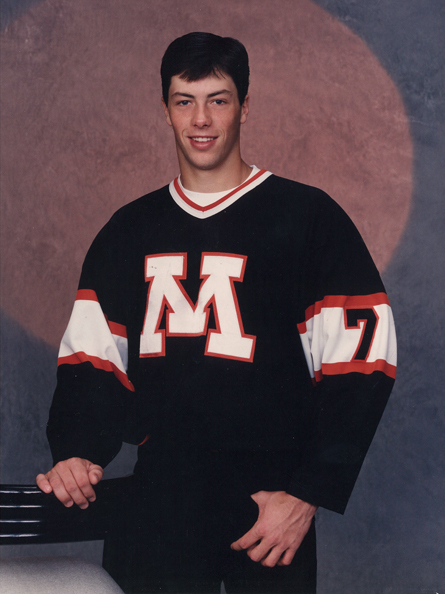 Oddly out of place among all the vintage ’90s NHL superstars papering the walls of Matt Cullen’s old -- and still untouched after all these years -- Moorhead bedroom is a picture of Mike Antonovich. Antonovich, while legendary on the Iron Range for leading Greenway to back-to-back state titles in 1966 and ’67, isn’t your typical 1990s hockey idol. A 5-foot-6 puckhandling phenomenon, Antonovich played most of his professional career in he WHA, including four seasons with the Minnesota Fighting Saints in the early- to mid-1970s. “I liked him a lot,” Cullen said. “I had him as a coach once. I don’t remember what all-star thing it was. I learned some things from him, little things about the game. A passion for hockey -- with roots that stretch to the Iron Range -- is layered deep in the Cullen family. Matt grew up in Virginia where his dad, Terry, coached the high school team for eight seasons. 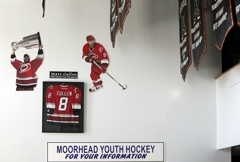 The Cullens moved to Moorhead when Matt was 10. A large chunk of Iron Range hockey came with him. Matt remembers listening to his dad craft game plans for the Blue Devils as they prepared to play the Iron Range Conference’s powerhouses. 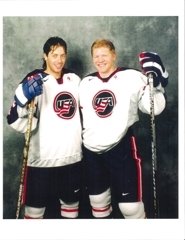 “I remember a bunch of good players from International Falls,” Cullen said. “I remember listening to what the game plan was going to be when we played International Falls. 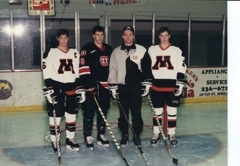 Matt played for his father in Moorhead, where Terry coached for 11 seasons. 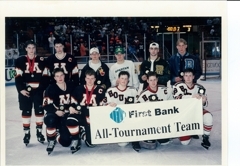 The Spuds made three trips to the state tournament with Matt in the lineup, finishing third, second and second from 1993-95. 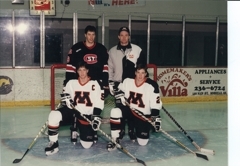 Cullen squared off against some of the state’s most legendary modern-era teams and players, including Bloomington Jefferson squads featuring Mike Crowley, Joe Bianchi and Mark Parrish and Duluth East led by the irrepressible tandem of Dave Spehar and Chris Locker. 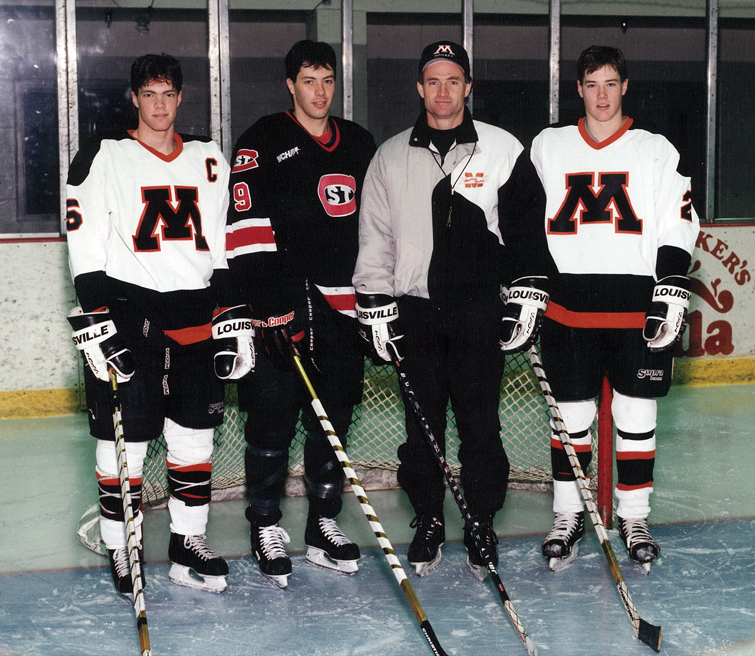 After finishing third in 1993 with Cullen as a sophomore, Moorhead reached the title game the following season. Jefferson beat the Spuds 3-1 to claim its third straight championship. 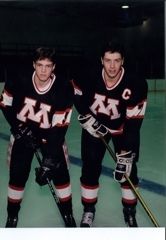 Cullen scored twice and added an assist in a thrilling 1995 championship showdown against Duluth East. The score was tied 2-2 heading into the third period, but the Greyhounds’ Spehar completed his third hat trick in as many games in a 5-3 Duluth East victory. “I just remember seeing him sitting on the boards after we won it,” Locker said about Cullen. 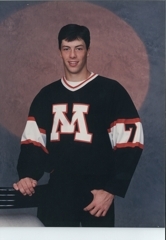 “He was a senior, and he put everything on the ice trying to win that game. Matt was one of the toughest guys I ever had to play against, he was so strong on his stick on his skates. Cullen’s incredible puckhandling skills were developed at an early age during 2-on-2 basement games with his dad and two younger brothers, Mark and Joe (losers had to make the milkshakes). Cullen said the boys’ birthday parties were held on the family’s backyard rink. 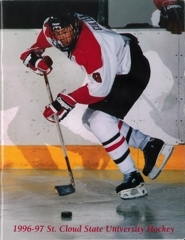 Terry Cullen developed a series of off-ice stickhandling drills the boys practiced in the garage, and a 16-year-old Matt starred in an instructional video that is still selling. “Dad would always say the kids who had the puck the most are the ones who have the most fun,” Cullen said. “He always believed the best players had the best hands. 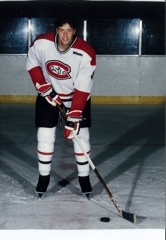 Cullen was an all-state tourney selection three years, and he was a Mr. Hockey finalist in 1995, when he was named the state’s Player of the Year by the Associated Press after scoring 47 goals and adding 42 assists in 28 games. Cullen played two seasons at St. 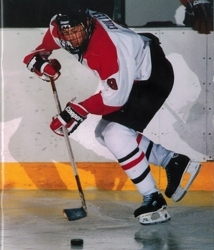 Cloud State University, turning pro after the 1996-97 season. A center with the Minnesota Wild, Cullen is in his 14th NHL season and approaching 1,000 regular season games. 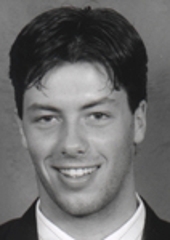 He won a Stanley Cup title with the Carolina Hurricanes in 2006.